VAMBOA, the Veterans and Military Business Owners Association, has announced that new corporate sponsors are being offered the opportunity of two years of corporate sponsorship for the cost of only one year, at all levels, through September 30th, 2016. The opportunity is also available for current sponsors who renew. VAMBOA is supported through corporate sponsorship, and does not charge military business owners, veteran business owners or service disabled business owners any membership fees. VAMBOA recognizes that corporations are seeking to connect with a diverse group of suppliers within their supply chain. Our membership includes Service Disabled Veteran Business Owners, Veteran Business Owners and Military Business Owners. Many are also minorities and women. Corporate sponsorship supports the mission and successes of these Service Disabled Veteran Business Owners, Veteran Business Owners and Military Business Owners. It also provides companies the ability to place their Requests for Proposals (RFPs) and needs in front of VAMBOA’s membership, as well as participate in webinars and conferences, connecting with these diverse suppliers on various levels. With a nationwide membership of over 6,500 registered business owners, VAMBOA is quickly becoming the Go-To Trade Association for Service Disabled and Veteran and Military Business Owners, and those who want to support them. The 501(c)6 non-profit trade association also has a vibrant social media presence, approaching 300,000 combined fans and followers on social media. The next VAMBOA conference is planned for early 2017. Debbie Gregory, the CEO of MilitaryConnection.com, founder of the Veteran and Military Business Owners Association, and co-founder of Joining Forces California has been appointed by the California Employer Support to the Guard and Reserve Chair, BG (R) Jim Combs to the volunteer position of Director of Employer Outreach for California’s Employer Support of the Guard and Reserve (ESGR), a Department of Defense office. The ESGR develops and promotes employer support for Guard and Reserve service by advocating relevant initiatives, recognizing outstanding support, increasing awareness of applicable laws, and resolving conflict between employers and service members. Ms. Gregory’s new role will also enable her to facilitate signing ceremonies for companies wanting to sign a Statement of Support for their Guard and Reserve employees. The Statement of Support increases employer support by encouraging employers to act as advocates for employee participation in the military. USERRA, The Uniformed Services Employment and Reemployment Rights Act of 1994 is a federal law and the law of the land. Supportive employers are critical to maintaining the strength and readiness of the nation’s Guard and Reserve units. Additionally, employers are eligible to be nominated by their employees who are Guard and Reserve for the prestigious Secretary of Defense, Freedom Award. Each year there are fifteen winners among employers of all sizes for their willingness to go above and beyond the law in providing their employees the support they need. 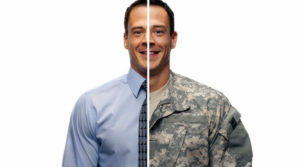 If your company is interested in joining thousands of employers by signing a Statement of Support for the Guard and Reserve to display prominently for all your employees and visitors to see, please contact Debbie Gregory at debbieg(at)militaryconnection.com. The Veteran and Military Business Owners Association (VAMBOA), a 501(c)6 non-profit trade association, is proud to join forces with the National Veteran Business Development Council (NVBDC), the leading third party certification organization for veteran owned businesses. Together, the two organizations are working towards advancing certification for service disabled and veteran owned businesses (SD/VOBs). The NVBDC, a 501(c)3 non-profit, is also committed to growing veteran owned businesses, and to that end has created a nationally recognized certification program via an easy and intuitive web based interface to complete the certification process. Keith King, NVBDC president said, “We set out to build the ‘Gold Standard’ certification program for our fellow SD/VOBs, and we have done that. With the support and endorsement of GM, AT&T, Kellogg’s, Ford, Magna International, 3M, CPI, Consumers Energy and many more corporations, we are proud to provide an opportunity for VAMBOA members and our certified SD/VOBs to work with America’s leading corporations. VAMBOA’s mission is to ensure the development, growth and prosperity of veteran owned businesses of all sizes. VAMBOA’s “Vet Owned” seal symbolizes the talent, dedication, leadership and courage of these special Americans who currently serve or have served in our nation’s Armed Forces. Membership is in the 501(c) 6 trade association is free. If you would like to sign up for membership, please visit https://vamboa.org. VAMBOA relies on corporate sponsorship. If you are interested in becoming a sponsor, please call Debbie Gregory at (877) 850-9800. The NVBDC’s principal goals are to promote business opportunities for SD/VOBs within commercial and government markets; to support the interests of all Veteran Owned Businesses; to facilitate interaction between VOBs, government, and all other businesses in support of business initiatives for Veterans; and to provide a forum for the exchange of ideas and information between its members, government agencies and industry through networking, committees, meetings, conferences and visits to government and industry facilities. The NVBDC is the certification body for SD/VOB’s that ensures that credible documentation exists of a business’ veteran status, ownership and control. Historically the Industry Supplier Diversity programs have relied on non-government organizations to provide them with independent third party certification. The Government controlled Center for Veteran Enterprise does not verify MEDIUM or LARGE companies, thereby denying them a formal veteran business recognition. The NVBDC certifies all sizes of veteran businesses. Industry can be positive that a SD/VOB certified by the NVBDC is in fact an owned, operated and controlled veteran business. VAMBOA, the Veteran and Military Business Owners Association, a 501(c) 6 non-profit trade association, is committed to the development, growth and prosperity of Veteran Business Owners, Service Disabled Veteran Owned Businesses (SDVOB) and Military Business Owners. Small businesses are not only the backbone of our economy, they are also responsible for job generation. Also championing their success is the Small Business Administration (SBA). Created in 1953, the SBA has numerous programs and resources to help veterans start or expand a small business, including loans, mentoring and training. Especially useful to active-duty members preparing to transition to civilian life is the SBA’s entrepreneurship training program, Boots to Business. The curriculum of the three year old program leads participants through the key steps for evaluating business concepts and provides the foundational knowledge to develop a business plan. Many Veteran entrepreneurs have found success by taking practices, standards and ideologies from their military service and applying them to their civilian companies. We salute these business owners during their designated week, and all year round. VAMBOA, a 501(c) 6 non-profit organization, has been providing its members with knowledge of government provisions that help service-disabled veteran business owners, Veteran business owners and military business owners since 2010. VAMBOA’s mission is to help drive the success of these veteran business owners. VAMBOA also connects it members to contacts within large corporations and government agencies who can mentor members, and in some cases, can even directly provide members with government contracts and vending contracts within large corporations. Membership in VAMBOA is complimentary. The Veteran and Military Business Owners Association (VAMBOA) is pleased to announce the appointment of Paul F. Mara as the Director of Development. VAMBOA is one of the fastest growing 501(c)6 non-profit trade associations for Military Business Owners, Veteran Business Owners, and Service Disabled Veteran Business Owners. Mr. Mara will help expand VAMBOA in the Midwest to further support the vision and mission of assisting military and veteran business owners thrive. A military veteran, having served in the Army as both a Military Policeman and Military Police Investigator, Mr. Mara is uniquely qualified for this role. With more than 30 years as a serial entrepreneur, having started, operated, funded and sold many small businesses, Mara understands the challenges these business owners face. His concurrent position as a Senior Business Advisor/Coach for a national business coaching franchise will be a great asset to the VAMBOA membership. With a nationwide membership of over 5,000 Military, Veteran & Service Disabled Veteran Business Owners, and over 175,000 followers on Twitter, VAMBOA is becoming the Go-To trade association for Veteran and Military Business Owners to address their unique needs. VAMBOA’S vision and mission is to spearhead, cultivate and support the entrepreneurial success of all Veteran and Military business owners with a turnkey community of resources, referrals, advice, coaching and support. If your corporation is looking to connect with a diverse supplier network of Veteran and Military Business Owners, please consider becoming a corporate sponsor.